We’re getting close to release date: November 20! That means a real excerpt will soon be posted. Subscribe to JuliaQuinn.com News to get notified whenever new content is posted. Às vezes você encontra o amor nos lugares mais inesperados… And sometimes you find it at the top of the hottest book list in Brazil! Could this be because of the NETFLIX NEWS? Or is it all because JQ is hot in Brazil? 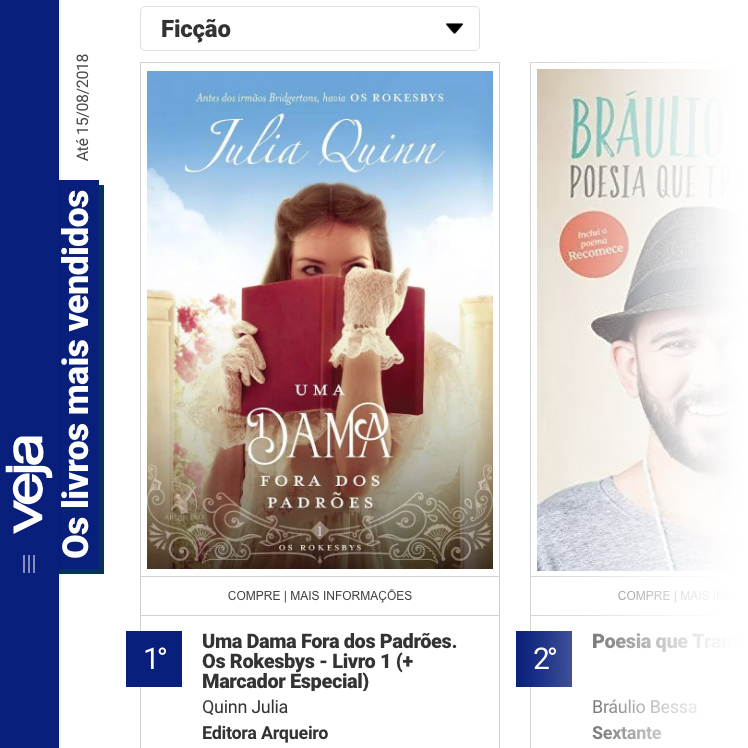 Here at Team JQ we think that Because of Miss Bridgerton is just a great story–so of course Uma Dama Fora Dos Padrões, hit the top spot on Veja‘s fiction list. Veja is a weekly newsmagazine and one of the most influential outlets of the Brazilian printed media. And what was that Netflix news? Surely you heard: The Bridgertons are coming to Netflix! JQ + Netflix = Wow! Read the whole article: Shonda Rhimes Describes Her Grand Netflix Ambitions. Team JQ will post more info as the news develops. Get your JQ comics here! I have the best sisters. Older Sister created all my JQ graphics and designed this site. Younger Sister is a coding wiz and makes it all run smoothly, but Youngest Sister… Violet… she’s the comic illustrator. And over the last few years she’s come up with some really great JQ-inspired comics. They’re here on my website, and I’ve shared them on Facebook. So chances are, you’ve seen them. By this time, you’ve probably heard about the EU’s General Data Protection Regulations (GDPR). 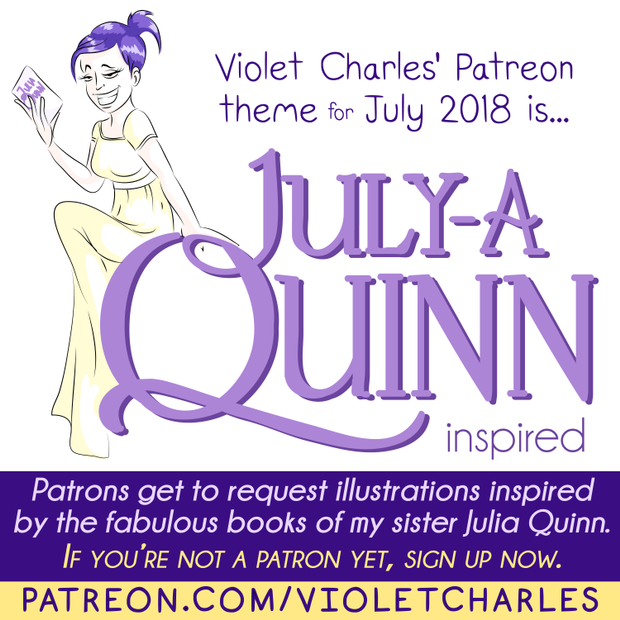 I don’t have any ad trackers on my site, but I do have a few subscriptions readers can use to stay connected: this JuliaQuinn.com Site News feed and my JQ Newsletter. Each does different things. Neither list is ever shared. I have been re-permissioning my newsletter list all month, to be doubly sure everyone explicitly consents to giving me their information. Huge gratitude to everyone who has clicked on that link in their newsletter. If you haven’t seen these newsletters, please check your spam folder, or just go ahead and resubscribe if that’s easier. Thanks! Cookies are integral to so many parts of running this site. From making sure all my pretty fonts show up to the Facebook feed on my home page and so much more… Cookies. They make the internet go ’round. Cookies of the chocolate chip variety are not part of my site — but in honor of the occasion, there is a giant one on a wee plate in front of me as I type this. Or rather, half of a giant cookie. Yum! The Other Miss Bridgerton will now be released on November 20, 2018. This is four months later than originally planned, but JQ says she’d rather the book be good than done. TOMB (what an acronym!) is available for pre-order. You can even get it autographed! What’s sooner than November 20? This weekend JQ will be a featured author at the Hawai’i Book & Music Festival (it’s a rough gig, but someone has to fill in the ranks). JQ has added her schedule for the event to her calendar. What’s after Honolulu for JQ? Bellevue, WA in October.  As ever, JQ’s Events calendar has all the details. The Other Miss Bridgerton cover reveal! Head on over to Shondaland.com for an exclusive peek at the cover of The Other Miss Bridgerton (update: now also here on JuliaQuinn.com), along with a humorous essay about historical romance authors’ “complicated” relationships with their book covers. Audible’s editors picked their “Top 25 Listens of the Year” and The Girl With the Make Believe Husband is on their Romance List! Want a sample? 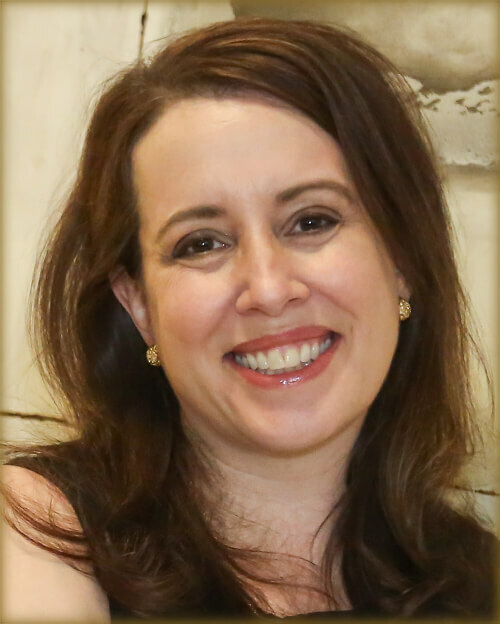 You can listen to a five-minute audio clip on JQ’s site read by award-winning actress Rosalyn Landor, who has read many of JQ’s titles. Want your own? It’s available from several audio vendors, including Audible. Already read it? 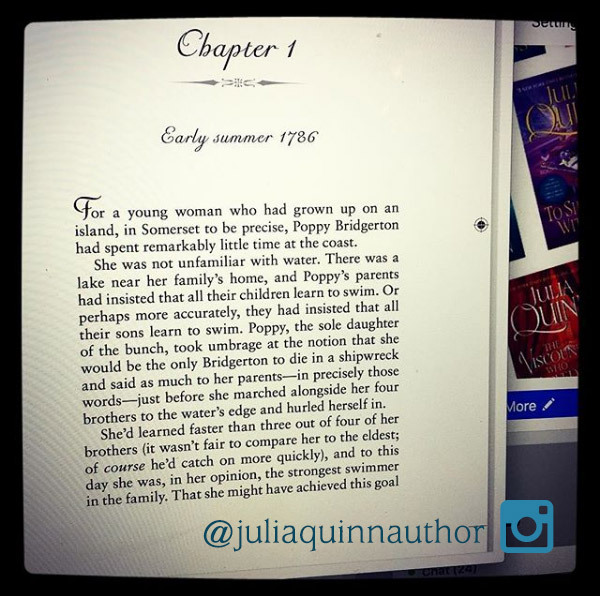 Check out JQ’s Author Notes on The Girl With the Make Believe Husband in her Inside the Story Bonus Feature. Who is the Other Miss Bridgerton? And what’s her story? Wondering about The Other Miss Bridgerton?  Satisfy your curiosity with the newly posted book summary that introduces JQ’s next heroine, a fiesty Bridgerton who finds herself in a most compromising situation. 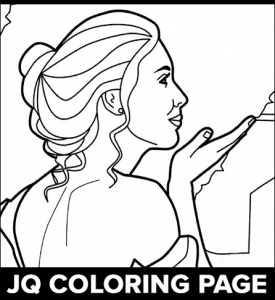 Since you’ve already pre-ordered this book and have to wait until next spring to read it (sigh), JQ has posted a fun thing to do while you’re avoiding laundry… a coloring page of the cover of The Sum of All Kisses.